Awesome news from Pizza Hut as Loaded Pockets Pizza is back. Jom celebrates Ramadhan and Hari Raya with mouthwatering Loaded Pockets Pizza. This limited edition pizza only available nationwide between 11 May to 21st July 2017. Don't miss the best Loaded Pockets Pizza in town. Topped with fresh ingredients that will tantalise your taste buds such as capsicums, pineapple bits, caramelised onions and sweet spiced chicken, this new delightful addition is sure to whet appetites. 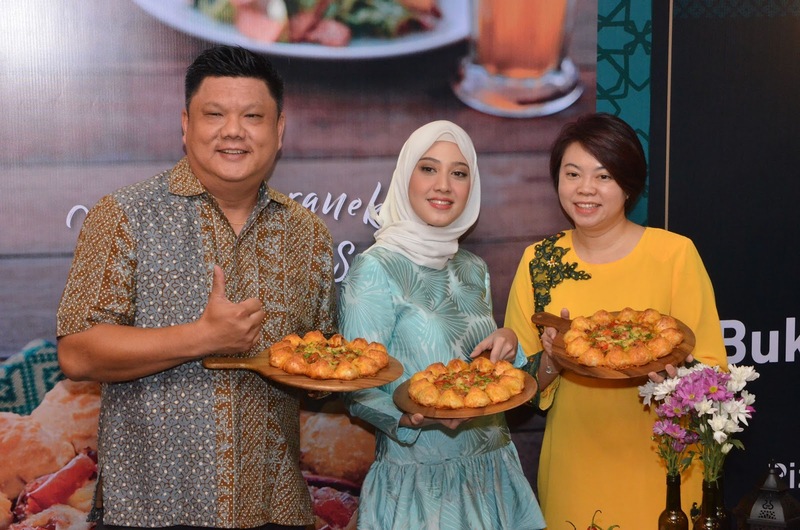 Merrill Pererya, CEO of QSR Brands (M) Holdings Bhd, " This Ramadhan season, everyone is looking for a meal full of abundance that would satisfy their different cravings and this is why we are introducing the Loaded Pockets Pizza to Malaysian customers along with an abundance of appetisers, sides and desserts to choose from.' Added on his speech, " on behalf of Pizza Hut Malaysia, we'd also like to wish Muslim customers a blessed Ramadhan and a meaningful time with their family and loved ones". Now you can enjoy the new Loaded Pockets Pizza for RM32.50 for ala carte while the combo is valid for dining in. You can choose combo pizza for two or for four people. Each combo comes with 1 regular-sized pockets pizza, mushroom soup, a variety of drinks including shaken ice lemon tea and wild berry smash tea, appetisers to choose from including chips & dips, Caesar salad, garlic bread, crispy fries and a dessert of rose pudding. The combos are reasonably priced at RM39.90 for 2 people and RM79.90 for four people.